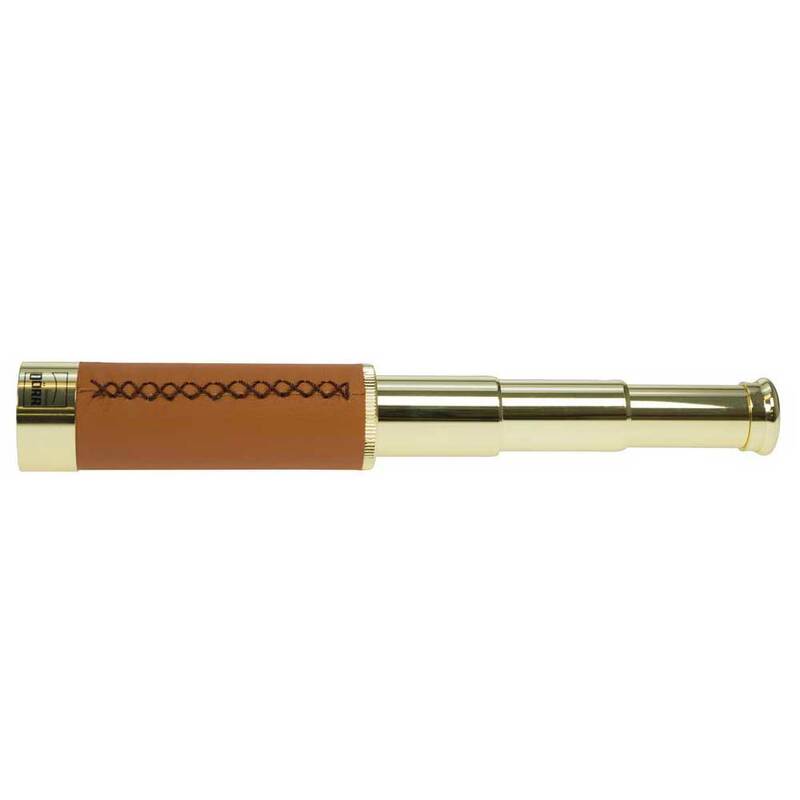 The Danubia 25x30mm Brass Pocket Telescope is a traditional and timeless design. This Danubia pocket telescope harps back to a bygone era of pirates and sea Captains. It looks particularly smart with leather effect material stitched onto the base of the tube and is great for nature viewing and for target practice. This Danubia pocket telescope collapses easily to a compact size which can fit easily into a pocket. The high 25x magnification ensures great images of distant objects and a 5 year warranty included.